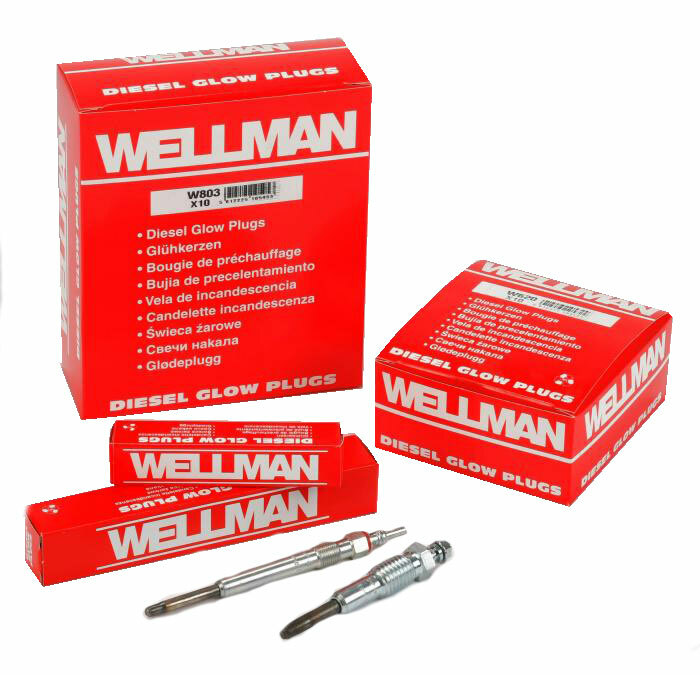 The Wellman brand is synonymous with diesel glow plugs. Credited with the developing of the first sheathed glow plug over 60 years ago Wellman has continued to develop the range focusing on quality and value. Wellman Glow Plugs are manufactured to original equipment specifications using the latest materials and technology available. Automated manufacturing processes ensure quality is maintained at all times throughout production. One of the key features of the Wellman manufacturing process is that each Glow Plug is individually energised and monitored by an optical pyrometer and computerised data logging system. All Wellman glow plugs are individually coded for full traceability. Continuous development of the heating technology and product range has given a portfolio of glow plugs which covers a high proportion of the vehicle parc and is ideally suited to modern turbocharged and common-rail engines. Due to the high efficiency required of modern diesel engines, many vehicles now have water heating plugs to improve the engine performance and driver comfort levels. Wellman produce a range of water heating plugs which are included in the application listing.